Maureen Stocklas, 69, died Tuesday, February 5, 2019 at the Diamond Hill Nursing and Rehabilitation Center. Born in Albany, she was the daughter of the late Walter Tobey and Gertrude Tobey. 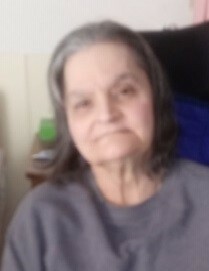 Maureen is survived by her children, Crystal Furman (David), Thomas Stocklas (Rachel) and John Stocklas, all of Troy, her grandchildren Alisha Stocklas and Brandon Stocklas and ten grandchildren, her 3 great grandchildren, her brother Walter Tobey, several nieces and nephews and her longtime companion Alfred Papielion. She is predeceased by her brother Louie Sanford. Memorial service will be held on Saturday, February 9, 2019 from 2pm to 4pm at the McLoughlin & Mason Funeral Home, corner of 109th St. and 3rd Ave, Lansingburgh. Donations may be made to the Diamond Hill Nursing and Rehabilitation Center at 100 New Turnpike Road, Troy, NY 12182.